Practice Services Manager Julie Waning celebrates 30 years' service at Burnetts this month. A manager from a Cumbrian law firm is celebrating 30 years’ service this month. 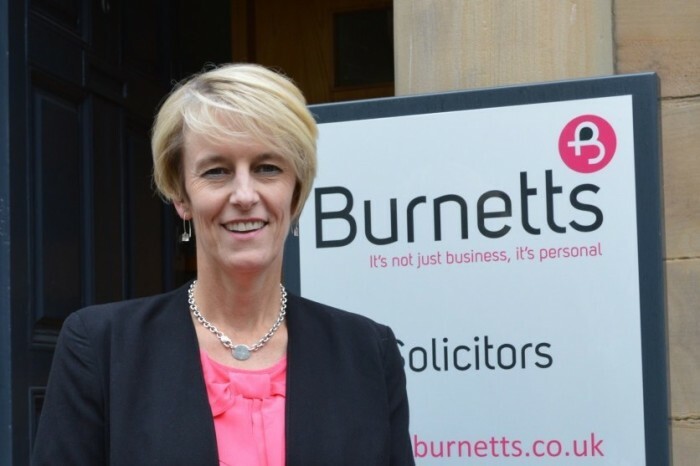 Practice Services Manager Julie Waning (48) began work at Burnetts in July 1984 as a secretary in the firm’s debt recovery team. In 1988 she was promoted to become secretary to Commercial Property Partner Tom Leach (61). When Tom became Managing Partner in 1990, Julie’s role developed to include office management duties and in 2000, she was officially appointed to her current role. Julie is responsible for the management of more than 50 support staff including the firm’s secretarial and reception teams, as well as facilities management of the firm’s five offices and health and safety. Outside of work, Julie helps her husband Gary Waning in the administration of his property maintenance business and spends time with her 9 year old son Teddy, supporting his football team the Dalston Black Reds, his performances with StagedRight Junior Theatre and the Dalston Cub Scouts. Carlisle-born Julie attended Harraby Secondary School, Carlisle Technical College and completed an Institute of Management Diploma with UCLan.